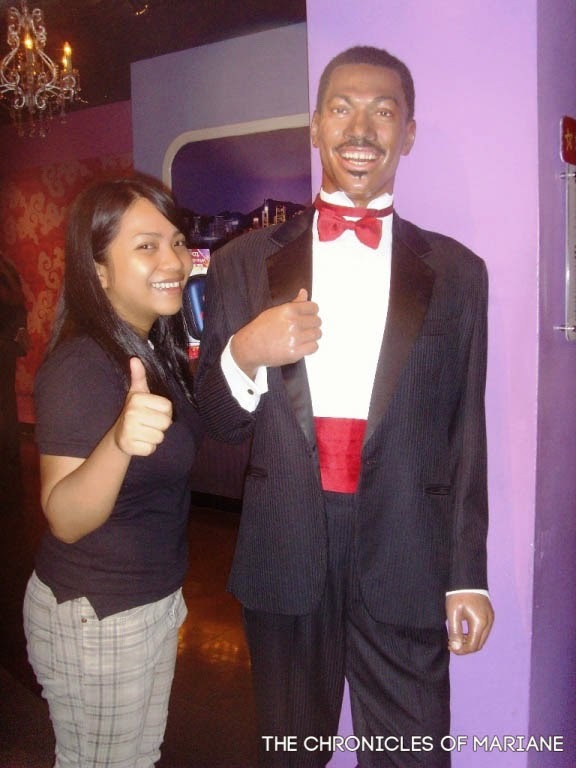 Hongkong Day 1: Madame Tussauds, Victoria Peak and my first day abroad ever! Do you still remember your first travel experience? Me, I still do! After graduating from the university, my parents asked if there was anything I wanted as sort of a reward. 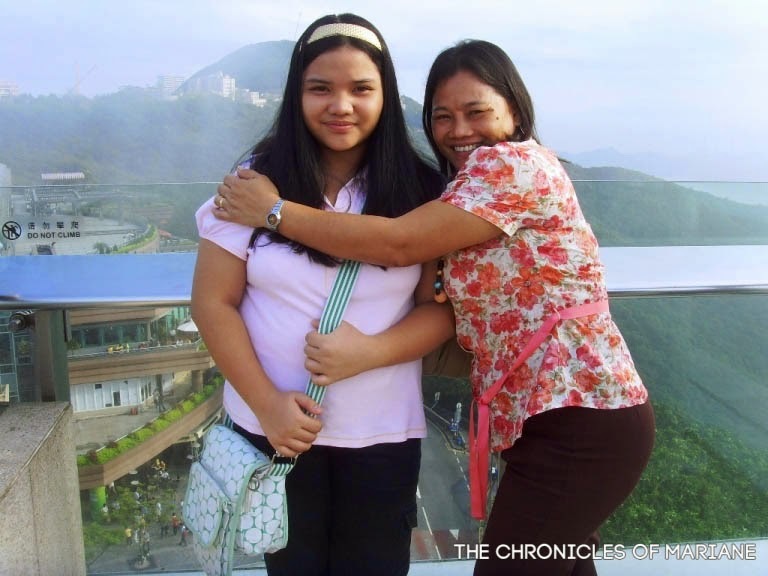 Growing up in a frugal family, I never really asked for birthday parties and the latest toys or gadgets and so I told them I wanted to travel abroad. Good thing they didn't say no to my request! I was so excited, I was probably more psyched to know that we will be going to Hongkong that May rather than the thought of finally receiving my diploma. lol. I've been to other places outside Manila when I was younger, we've frequented my parents provinces, Iloilo and Masbate, some were mostly field trips and short day trips to Laguna, Batangas, etc to relatives so there wasn't really any sightseeing involved. 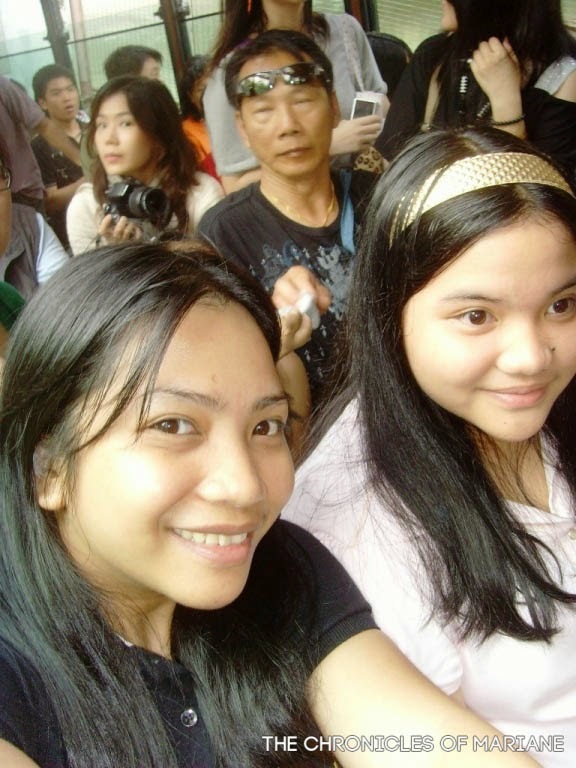 So technically, yes, that visit to Hongkong last 2010 was my first travel experience and also my first trip to abroad. 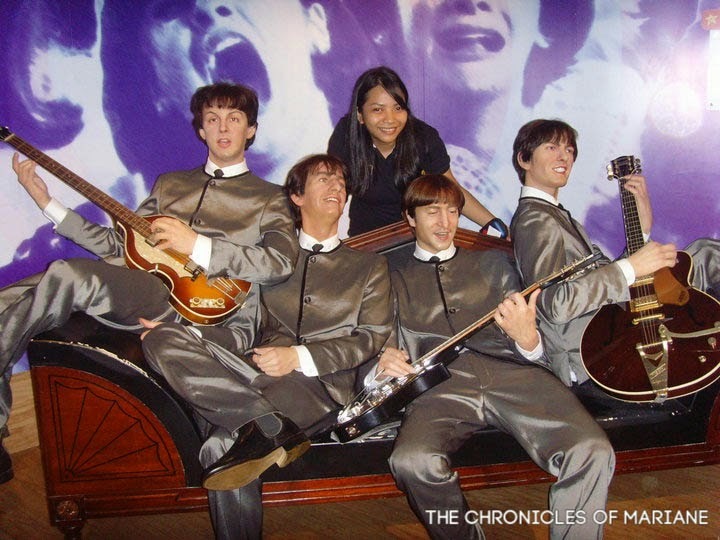 me with The Beatles, a dream come true! Come to think of it, my parents never really planned for any local trip, so it was especially harder to plan for a trip abroad. So what they did was we settled everything via a travel agency - plane tickets, hotel reservations and daily itinerary. Fast forward to the day of the trip, we arrived at Panda Hotel located at Tsuen Wan around two in the afternoon and it was our "free" day meaning we can spend the rest of the day by ourselves. We didn't really have any plans so some staff from the hotel gladly helped us and gave recommendations. They suggested Victoria Peak and a wax museum called Madame Tussauds that we can check out for the rest of the afternoon. Taking the MTR was another new experience for me! Compared to Manila's chaotic old train system, Hong Kong's was fast, clean and very convenient, it was my first time to see those machines that automatically dispenses train tickets (haha pagpasensyahan na!) Upon alighting at Central Station, we were greeted by Filipinos taking their Sunday off at the park nearby. 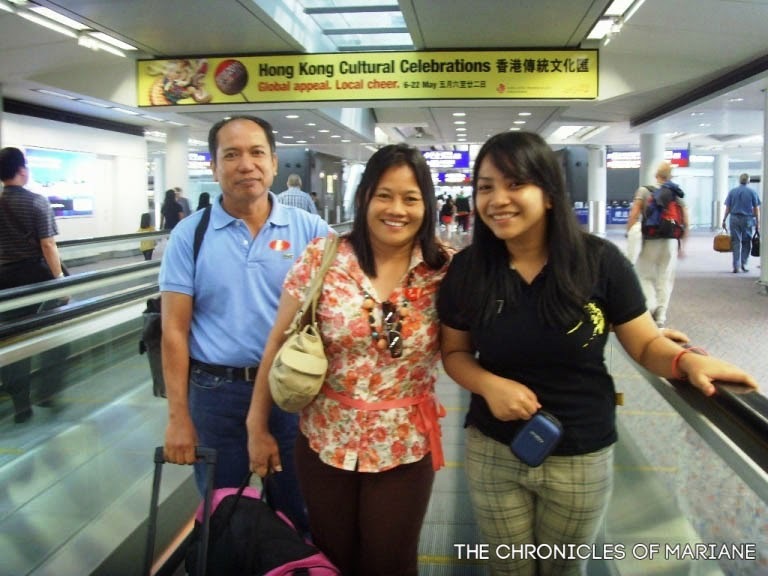 At that time, I also yet didn't know about the Jollibee branch in Hongkong so I was surprised to see one there. Anyway, the Pinays directed us where to proceed, the walk was quite nice since we were able to see nice buildings in the area. 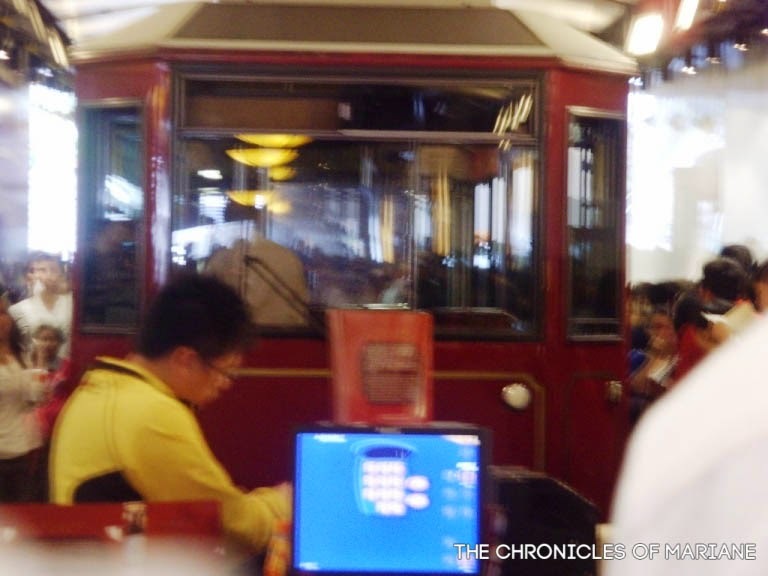 The Peak Tram, and oh boy, avoid the queues here on weekdays! The entrance to The Peak Tram that will take us to Victoria's Peak already had a long line of tourists waiting for their turn to ride the tram, but we never really got bored because we were just very excited and we can't help to people watch and observe the teenage Hong Kong fashion. Actually I wasn't sure by then if The Tram was our only option going up but since we it was our first time in HK, we might as well experience the ride. A quick tramway ride and we were off to the Wax Museum proper. Me and my sister were so excited it seemed like we were kids given new toys. Since the entrance fee was quite steep, we decided to take our time to enjoy and explore the area. 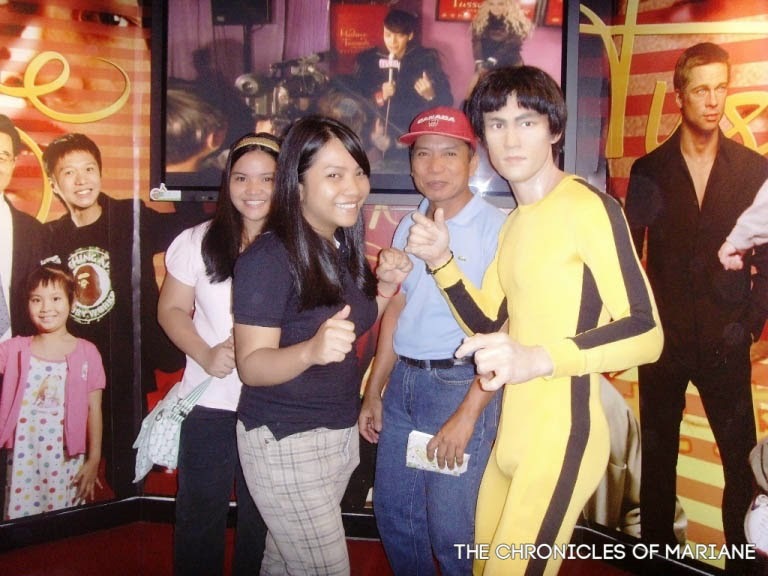 The wax figures were intereting to look at but of course, we didn't waste our time and took lots of photo ops with these "celebrities." 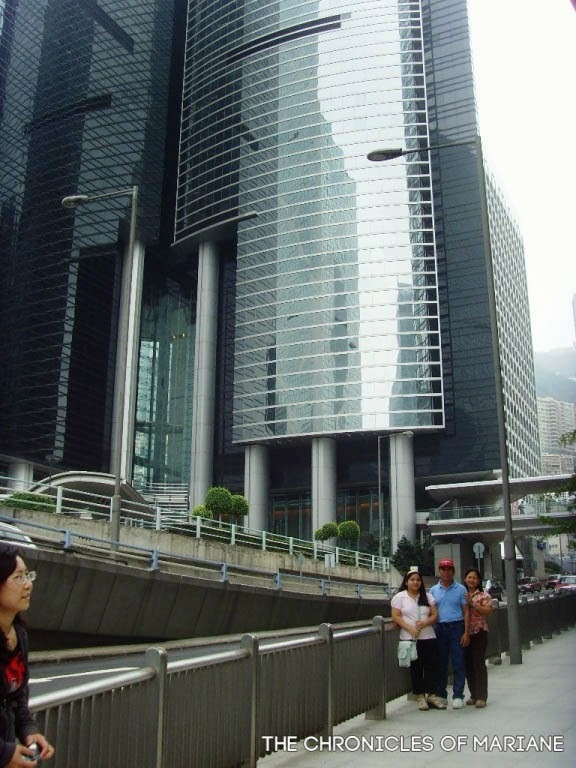 We then headed to The Peak's Sky Terrace afterward, which is the tallest point in Hong Kong that is sure to provide you with breathtaking view of the city skyline. At this moment, it finally sunk in, I am indeed in a different country! 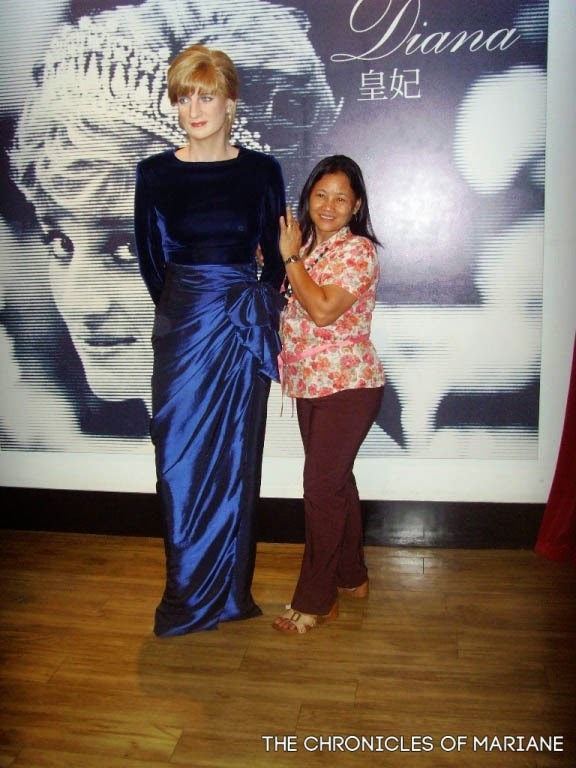 By the way, I have been mentioning Madame Tussauds for quite some time, this is actually a famous chain of wax museum that originated in London and was founded by Marie Tussaud who originally hails from France. 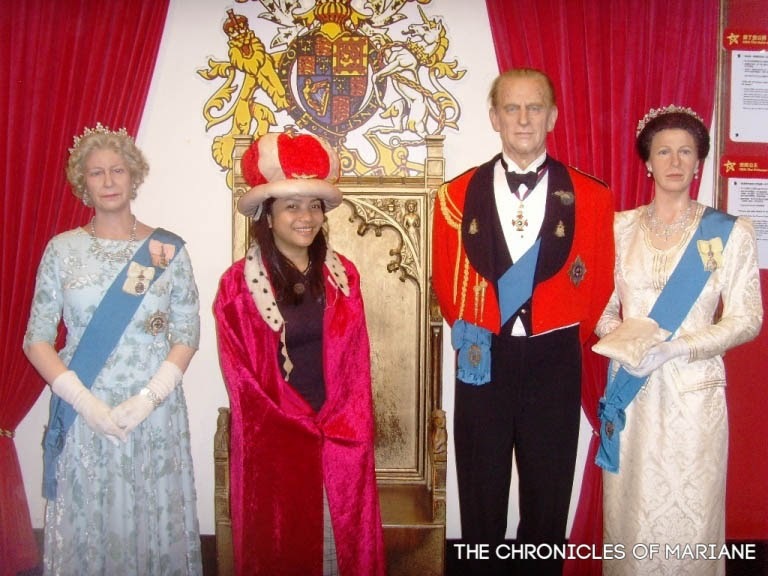 Their branch at Hong Kong is the first in Asia and showcases about 100 wax figures! 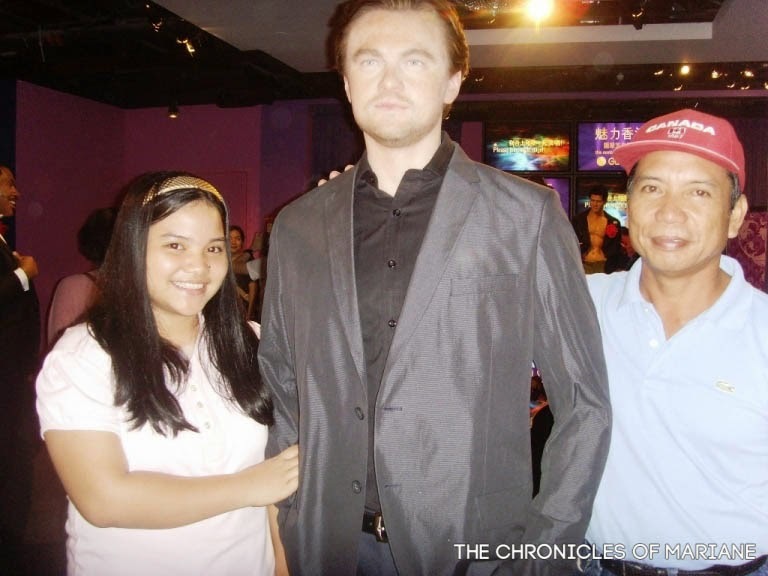 Their wax figures were actually pretty mixed, from TV and movie icons, sports legends, music wonders and even political biggies. I have here some of pictures we have, well I actually have a lot but I do not want to flood you guys with my face (which is included in most of the photos we took), so here is a preview of what you can expect to see inside. me and my dad with this awesome celebrity couple, BrAngelina. 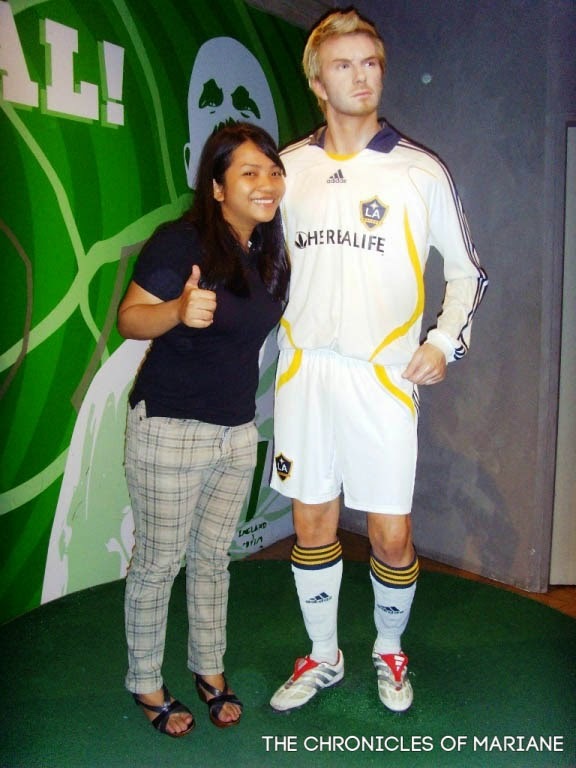 lol tignan nyo naman pagkahawak ko kay Brad Pitt! with one of my favorite comedians, Eddie Murphy! pwede na bang Barack Obama si papa? haha kulang na lang sa height! 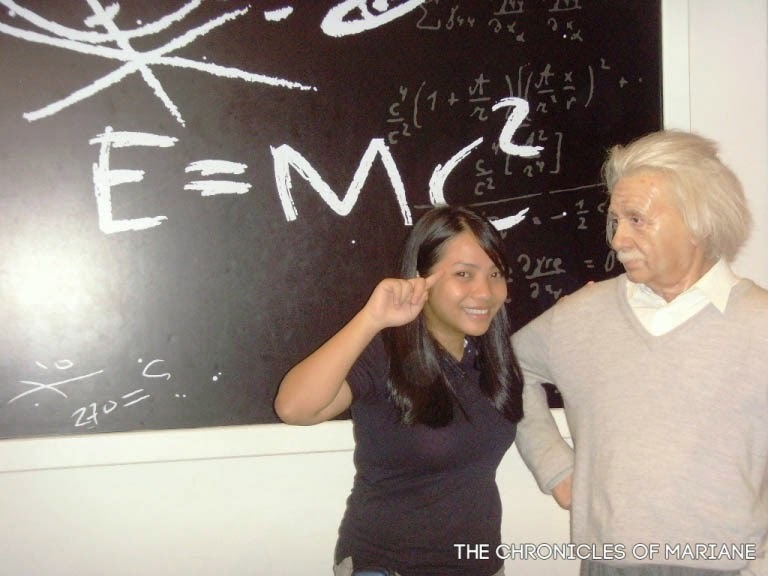 friends na kami ni Einstein!